Video – Grishko Triumph Pointe Shoes Compared To Super Triumph & Super Triumph Prearched models! 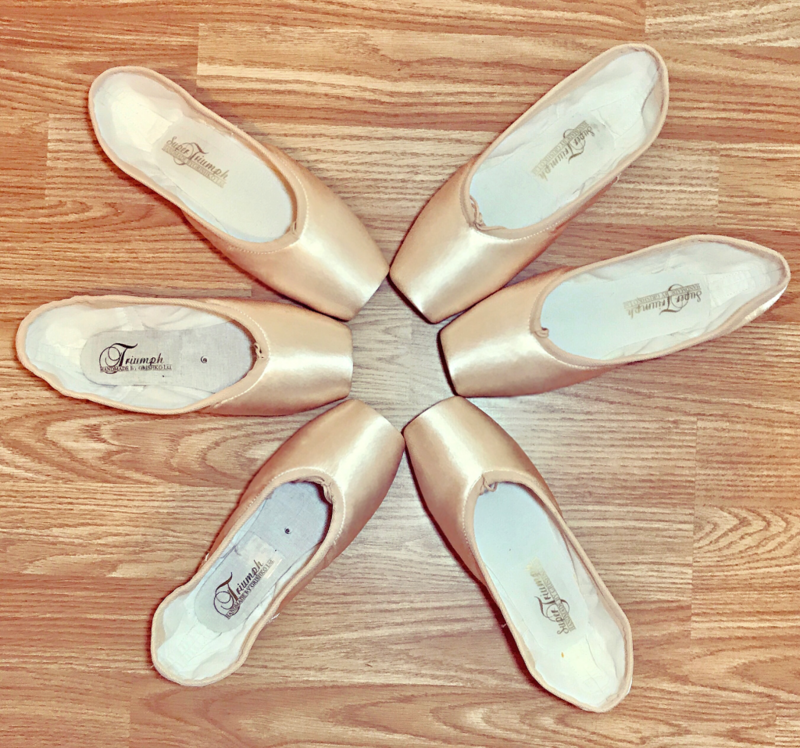 Grishko Triumph Pointe Shoes Comparison Video! In this video I compare Grishko Triumph pointe shoes to the two latest models – Grishko Super Triumph and Super Triumph Pre Arched. Super Triumph comes in a non pre arched shank and also pre arched. In the usual Grishko shank strengths SS – SH. The shank in both models is made of thermoplastic and therefore should not be bent by hand or tampered with. They are a ready to wear shoe and do not require breaking in. If you love a shank that goes more into your arch from the get go then I highly recommend the pre arched model. Whereas, if you prefer a stiffer shank with more strength then perhaps the non pre arched model is more for you. It’s worth noting that the shanks in Grishko Super Triumph are certainly more stronger than the standard Triumph model. As I have mentioned: Grishko standard Triumph shank tends to be on the soft side. So a standard medium in it is quite soft. However, in the Super Triumph a medium in both the pre arched and non pre arched models tends to be stronger. So be sure to get the correct strength for you.